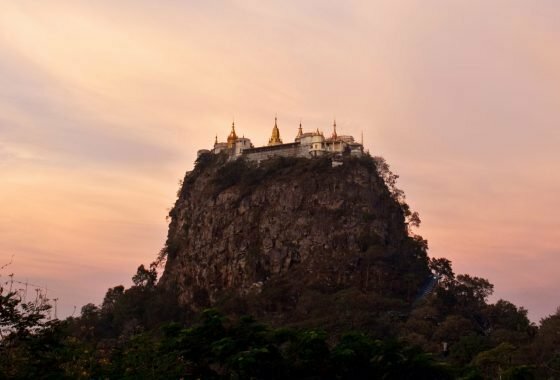 Burma’s central plains have played host to many old kingdoms. The legacy of this golden age is the temple strewn plain, covering 67 square kilometres, containing more than 2000 structures - it is thought, at its peak, there were over 10,000. 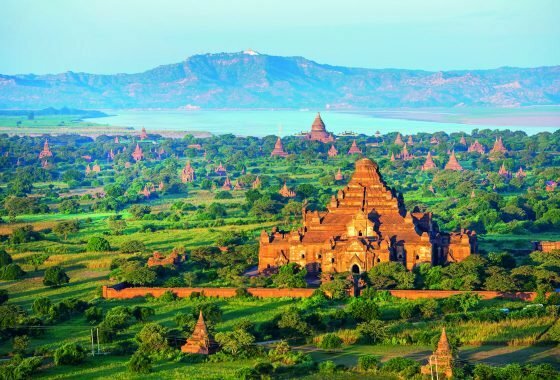 The best temples to visit are gathered around Old Bagan – don’t forget to climb one for sunrise, sunset or both to see the plain in all its glory. There are over 2000 temples, stupas and pagodas around Bagan. They come in all shapes and sizes, some simple, some elaborate, with many containing vivid frescoes, intricate carvings and Buddha statues. Whilst there are four structures considered must see – Ananda Pano, Shwesandaw Paya, Shwezigon Paya and Dhammayangyi Pahto – just ask your guide to take you farther afield and you’ll easily end up with beautiful temples to yourself. For perfect views over Bagan’s temples, over the plains and to the mountains beyond, head skywards in a hot air balloon that will float you over the plain at sunrise. Balloon flights operate from October to April and are weather dependent – flights cannot be guaranteed to operate. 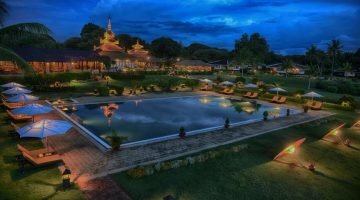 Set in a beautifully scenic location just back from the banks of the Irrawaddy River, the Thiripyitsaya Sanctuary Resort is surrounded by 24 acres of landscaped gardens in Old Bagan. 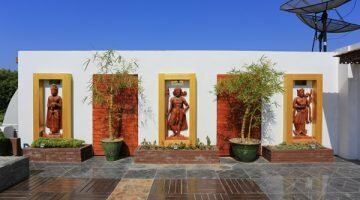 Well located just 10 minutes from the airport and 15 minutes from the Bagan Archaeological Museum, the hotels facilities are excellent, particularly the large and picturesque outdoor pool. A small, cosy establishment located in a quiet neighbourhood of New Bagan, the Shwe Yee Pwint Hotel boasts local decor, manicured grounds and a lovely pool. With it's cool, calm atmosphere there is no better place to relax after a day of exploration amongst Bagan's magnificent temples.